“Eloise, go and look in Delineator! 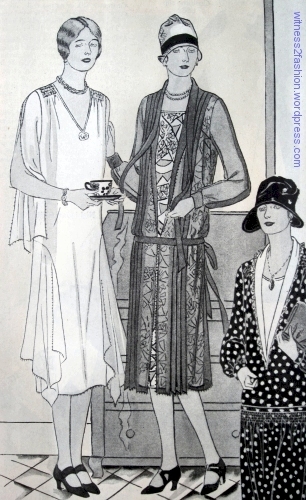 Maybe it would be safe to have it a little longer?” January 1929, Butterick’s Delineator magazine. Cartoon by Helen Hokinson. Sometimes it seems like 1920’s hems began falling even before they had finished rising. 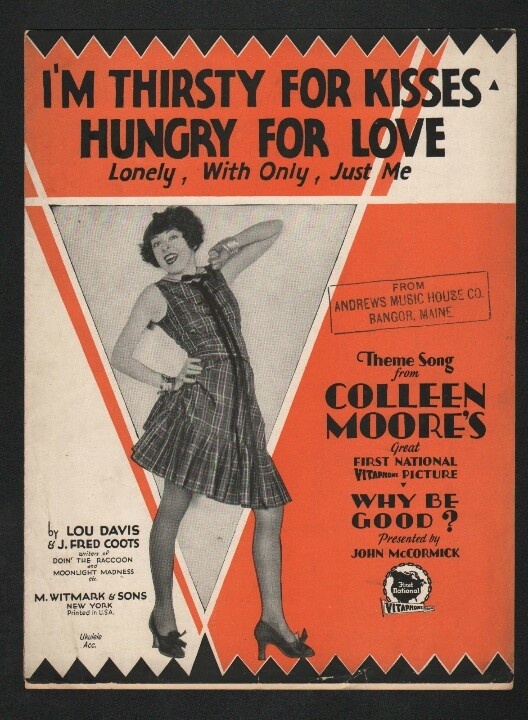 Nineteen twenties’ hems reached their shortest — in some cases above the knee — lengths near the end of the 20’s; some historians date their high water mark to 1927, but above-the-knee dresses can be seen in films released in 1929. 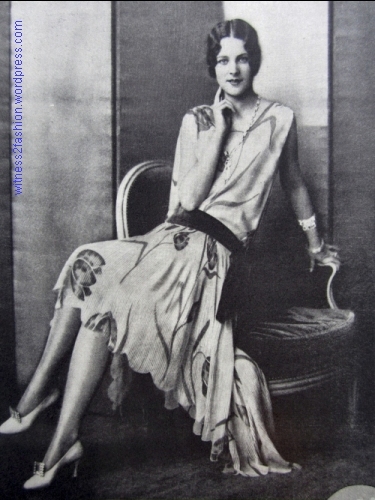 Pauline Weston Thomas has written about “The Short Skirt Misconception of the Twenties” at Fashion-Era. Click here. One of her points is that the mid to late twenties were years of change, reflected in the many dress styles that strove to be both long and short at the same time. 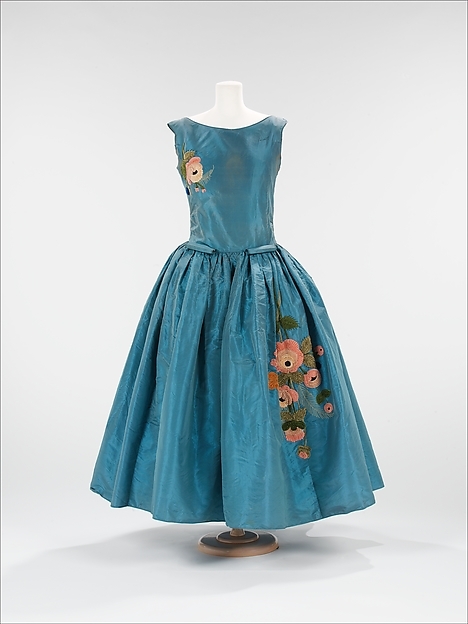 Afternoon and evening dresses often had a style feature that dropped below the normal hemline. A side drape, flared godets or “handkerchief hem” panels, and dresses that were short in front and longer in back — all allowed a transitional “two hem” option. 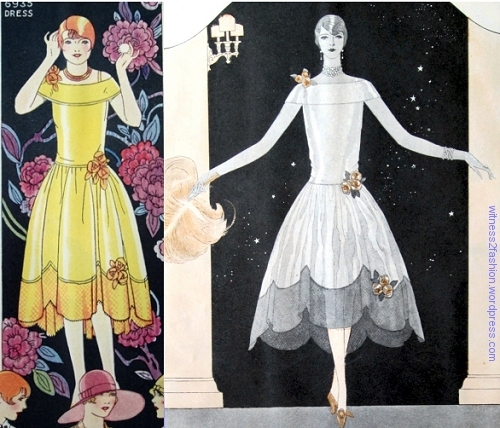 Three dresses for Misses age 15 to 20, Butterick, April 1925. Delineator. “Young Parisienne” styles from Butterick, patterns #7026 and #6999. August, 1926. It’s also much shorter than its 1925 counterpart. The scalloped hem on the right was also seen in late twenties’ styles. 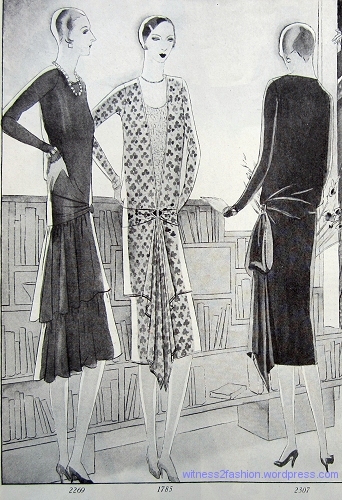 A side drape dangles below the rest of the hem in these evening patterns from Dec. 1926. Delineator. This dress, No. 1118 from November, 1926, also has a “tunic” [sometimes called an “apron] that hangs below the hem at the front sides. Butterick 1118, front and back views. Nov. 1926. Sheer blue velvet was recommended. 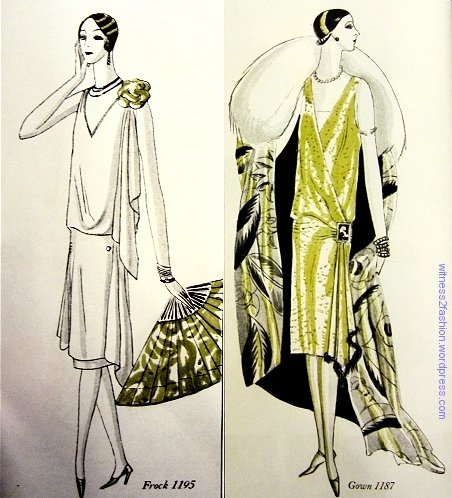 The dress on the left, below, for “Larger Women,” has floating panels for sleeves and curving inserted panels that make the sides longer than the front or back. 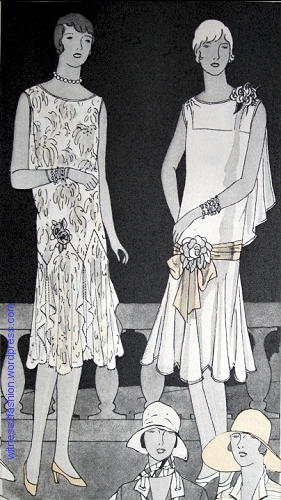 “French Dresses for Larger Women.” Butterick patterns 6957 and 6962, July 1926. Delineator. The shirring at the shoulder (left) would allow for a fuller bust. 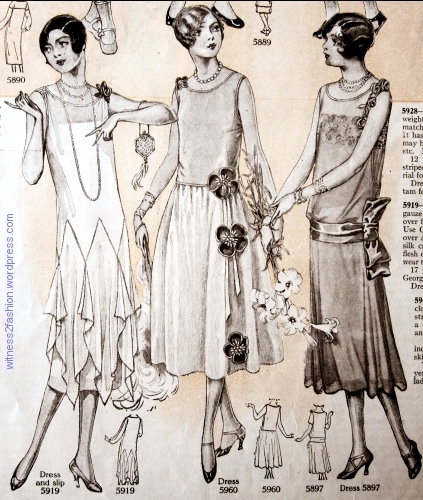 Although these 1926 dresses are for mature women, the “dress and slip” on the center figure is not much below the knee. This glittering dress, by French designer Renee, is also longer at the sides than it is in front. French designer Renee showed this evening dress in Fall, 1926. 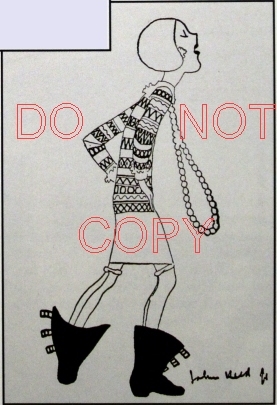 Delineator sketch by Soulie. Sept. 1926. A “Summer dancing frock” from Cheruit. 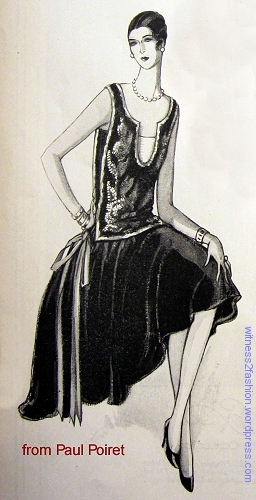 Sketched for Delineator , August 1926. One style that became very popular among young women — and which was adopted by older women by the end of the decade — was the afternoon or evening dress that was much longer in back than in front. Paul Poiret made this early, sophisticated version of black velvet with a sequinned bodice in 1926. “An uneven swirl of black velvet below a sequinned bodice” by Paul Poiret. 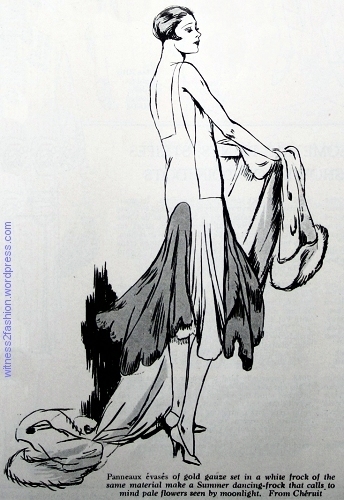 drawn by Lages for Delineator, Dec. 1926. Hattie Carnegie dress with large-scale print and scalloped hem, much longer in back than in front. Delineator, July 1928. Among teens and very young women, the short front / long back dress, with a full skirt based upon the robe de style, must have been popular, because within a couple of years it was widely adopted by older women, too. Two views of Butterick 6935. Delineator, July 1926. The version on the right is shockingly short, since the hem is see-through, exposing the entire knee. 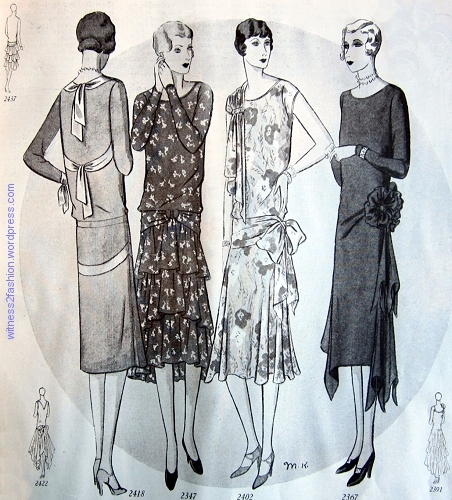 Butterick patterns for young women, Sept. 1926. Number 7047, left, and 7063, right. Butterick dress pattern 7047, beaded using transfer pattern 10472. Delineator, Sept. 1926. 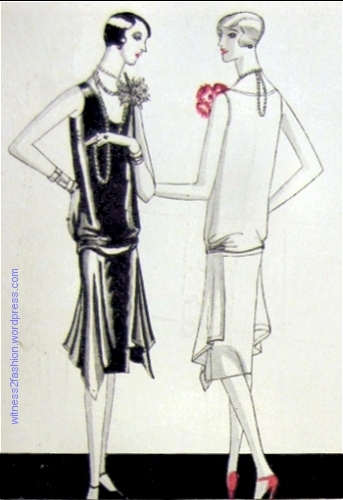 By 1929, these high-low hems had become acceptable for daytime wear. 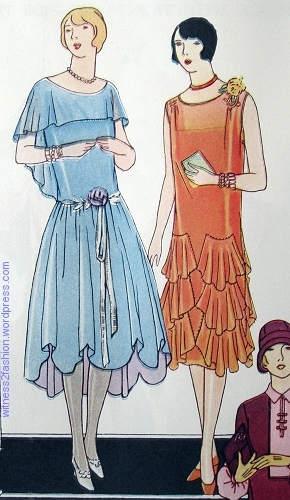 Day dresses for January 1929. Butterick patterns 2395 and 2382. Delineator, January 1929. 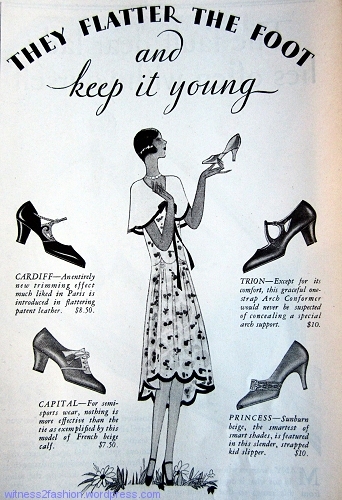 “They flatter the foot and keep it young.” Shoe ad, Delineator, March 1929. 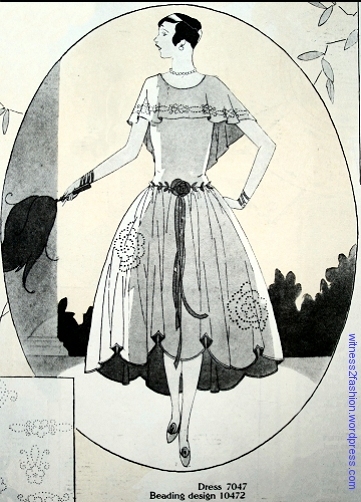 Afternoon dress, July 1928. Butterick pattern 2140, Delineator magazine. Butterick patterns 2418, 2347, 2402, 2367. Delineator, January 1929. Butterick patterns 2269, 1785, 2307. Delineator, Nov. 1928. More about high/low hems and other transitional variations to come. . . .